Volkswagen had a great 2017 and probably hopes to continue its sales success in 2018. Last year, the automaker sold a total of 10.74 million vehicles as it set a new record for sales. Talk about bouncing back from adversity. Once Volkswagen finally bit the bullet and admitted its issues in the Dieselgate emissions scandal, the automaker has bounced back. 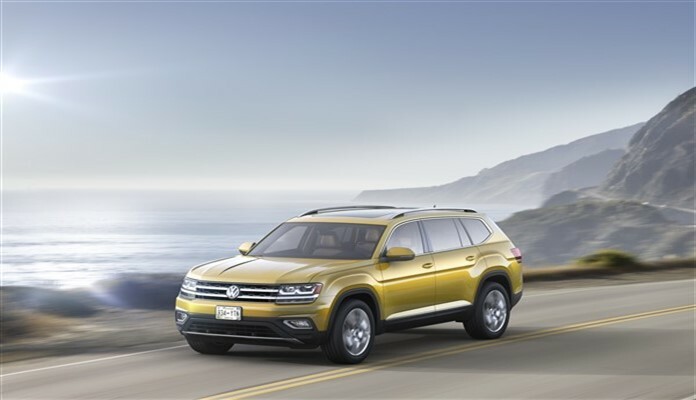 In 2017 and now in 2018, VW has been named the winner of awards from the Insurance Institute for Highway Safety (IIHS), Cars.com and many others. Also, VW sales have surged. Of course, VW sales tanked when the diesel emissions scandal became public. About the middle of last year, when the automaker’s settlements with U.S. consumers, federal agencies and the state of California were finalized, it was as if a green light was switched on. Sales leaped forward, month after month. Yes, there were some setbacks, but, by and large, VW’s 2016 numbers were better than 2015. And, now the final results for VW worldwide show the improvement continues. Indeed, Volkswagen Group delivered more vehicles than ever before for fiscal 2017. The numbers show that 10.74 million chose vehicles from the VW Group’s subsidiaries. As a result, the Group’s deliveries 4.3 percent, compared to 2016. The final month of the year was a huge success with nearly 1 million units delivered. The monthly deliveries represented an 8.5 percent increase over 2016. In Europe, VW recorded total sales of 4.3 million in Europe for 2017, for an increase of 3.3 percent. Sales in Central and Eastern Europe reflected the recovery in the Russian market and sales were up 13.2 percent. North American sales were up 4.0 percent to 976,400 vehicles in 2017. U.S. sales represented 625,100 vehicles. VW’s deliveries in December reflected what could be a softening in the automotive market as passenger car sales were off 2.7 percent to 91,500 units. This is in line with marketing information that shows crossovers and SUVs took over sales leadership across the automotive spectrum last year and the trend continues today. Indeed, market leaders like the VW Jetta saw their sales soften. Sales in South America, driven by the recovery in Brazil, were up 23.7 percent in 2017. In the Asia-Pacific region, sales in 2017 rose by 4.3 percent, compared with the previous year. In 2017, VW delivered 4.5 million vehicles. Sales in China were responsible for 4.2 million vehicles. China represents VW’s largest single market. The automaker delivered 460,100 vehicles in December, a 17.8 percent increase over 2016.